Especially on long car rides when you drive yourself, or when you are easily feeling nauseous when reading in the car, bus, or on the train, audio books are a great alternative to reading. Rest your eyes, lean back, and let someone with a pleasant voice read to you. Contrary to audio dramas or radio plays, however, audio books most of the time only feature the voice of the reader. Sometimes, they add a little intro sing to the prologues or individual chapters, but other than that, all you can do is concentrate on the voice reading the lines to you. Maybe it’s time to alter your audio book experience by adding fitting ambient noises for your hearing pleasure! 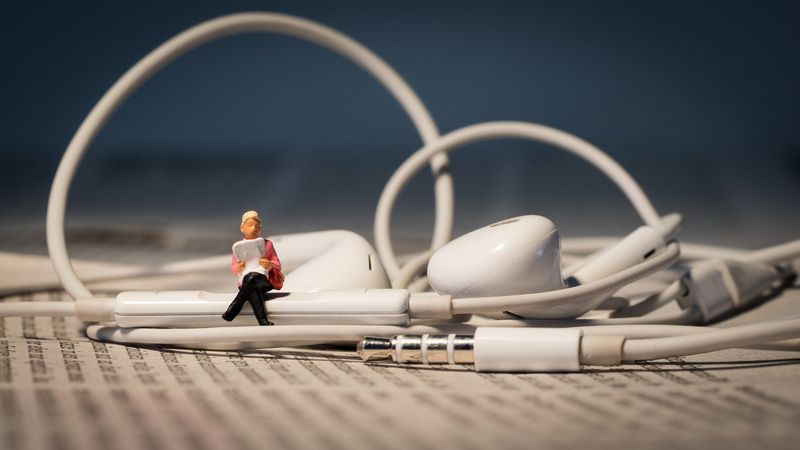 Depending on the theme of your audio book, the setting, or the feeling, different audio backgrounds can help you get even more involved with the story. To fully benefit from the experience, you should choose ambient pieces that underline the happenings in the particular chapter or portray the overall mood of the novel or short story. Lets take, for example, the famous fantasy novel series “A Song Of Ice And Fire” by G. R. R. Martin. From our list of Game of Thrones inspired ambient mixes, you can choose the ones to accompany the audio book depending on where in Westeros or the other continents you reside currently. Are you currently accompanying Theon to the Iron Islands? Then tune up the sounds of Pyke, with waves clashing against the rocky shores and winds howling around the walls of Lord Greyjoy’s castle. Or maybe you are out beyond the wall with Jon Snow and the other men of The Watch. If so, the eerie sounds of windswept plains, howling wolves, and atmospheric ambient drones are what you could tune up in the background. If you either traveled to King’s Landing with Eddart Stark, or reside there with King Joffrey, young king Tommen, or someone else of the Lannister family, the sounds of a lively city creates a fitting background soundscape for this. If you like such book-inspired ambient tracks, tune up ambient background noises inspired by The Lord Of The Rings, The Chronicles Of Narnia, or Sherlock Holmes. And you surely already stumbled upon our vast Harry Potter ambient sound collection. Are you a lover of fantasy books? Then check out all kinds of fantasy atmospheres – from enchanted forests to dragon lairs, from epic battles to the songs of mermaids. If you are more into science fiction, check out the according sci-fi ambient tracks on our page. Sounds of machines and the deep space can be found there as well as space battles and spaceship ambiences. Horror is your genre? Then tune up some eerie and scary ambient tunes in the background! Maybe you are more into steampunk though. Then, a mixture of technical machine sounds combined with steam engines and a more medieval flair are your thing. For fans of adventure stories, natural ambiences like the ones of forests and jungles, or the open sea could be more fitting. For fans of criminal stories or novels, different environmental sounds (like the one of a beach, a lively city, or a chill café) can create an atmosphere that fits the mood. 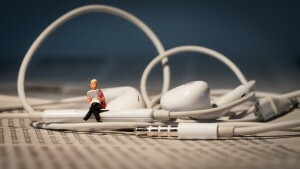 Check out different ambient noise as the background to your audio book. Play with the settings given and with the volume until you found the perfect mix to listen to your audio books on long travels or at home on your couch. You didn’t find the one fitting for your hearing pleasure? Then create your very own! ‹ What’s Good Music For Pets?